Severgn apartment is a good place to live in, where the staff members are very friendly. All the maintenance request are handle properly and on time. Even the community is good; Severgn apartment is conduction holiday party, swimming pool party and movie nights, which helps to get together with neighbors in apartments. Had been here for more than a year, the response and maintenance is really awesome. Really appreciate the pool party where we are able to meet lot of people and make friends. I've been living in Severgn Apartments for 17 years and it has been a very good experience: location, mostly quiet area, swimming pool for the kids during the summer, tenant appreciation day celebration, quick maintenance department responses, plenty of parking spots, etc. I have lived at Severgn almost one year. The maintenance staff is great and service is always provided quickly and expertly. The office manager and staff are friendly, courteous, and always helpful resolving any issue. The grounds are well maintained. Restaurants and shopping are convenient. Very quiet and clean complex. Very close to Giant, Target, Starbucks, etc. Staff very responsive to any issues. I have lived in apartments for almost 20 years, and have been at Severgn since 2014. This is hands down the best community I've ever lived in. We have assigned parking, it's very quiet and neighbors are friendly. He grounds are maintained well and we have two ponds with fountains on the property. Office staff is very professional, responsive and friendly. Maintenance is nothing short of amazing - they respond quickly and get the job done right. The apartments are really nice, well insulated against noise and the elements, and the layouts are great - they use space very efficiently. The location is great - close to the turnpike, shopping, easy access to many major highways - but it's in a nice residential area. I plan to live here for years to come. 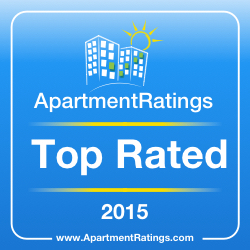 Severgn is an ApartmentRatings.com 2016 Top Rated award winner! This annual award recognizes properties with outstanding resident satisfaction ratings as measured on ApartmentRatings.com at the end of 2016. That is a huge accomplishment as only 5% of the total properties listed on the website qualify for award consideration! Thank you to all of our residents who have voted us Top Rated since 2012! We have been here over 6 years, and during that time we are blessed each day to have such a great place to live. Our Office Staff is very efficient and the Maintenance Staff is super. Very prompt, and work is completed and very professional. Good place. Very friendly neighbors. Love the pool party and gathering organized by the management! The grounds are well maintained and the snow plows are very efficient at snow removal since they pass through the parking lot multiple times. There is very little noise from neighbors as the walls are not thin as in most apartments. Management has always been very friendly and attentive, which is wonderful. I feel that management is a big part of an apartment complex' success and Severgn's management has been great since day one! I like the friendly people that live here and the staff is the absolute best. My love my unit and the space I have. Couldn't have picked a better place. Friendly fun place to live Well maintained Incredible staff I highly recommend Severgn! Great place to live with a professional staff. Peaceful and convenient to stores etc. You Have to SEE to BELIEVE Our Newly Renovated Interiors! What are you waiting for? Let's chat about your upcoming move! Get in touch with us by phone or email here!